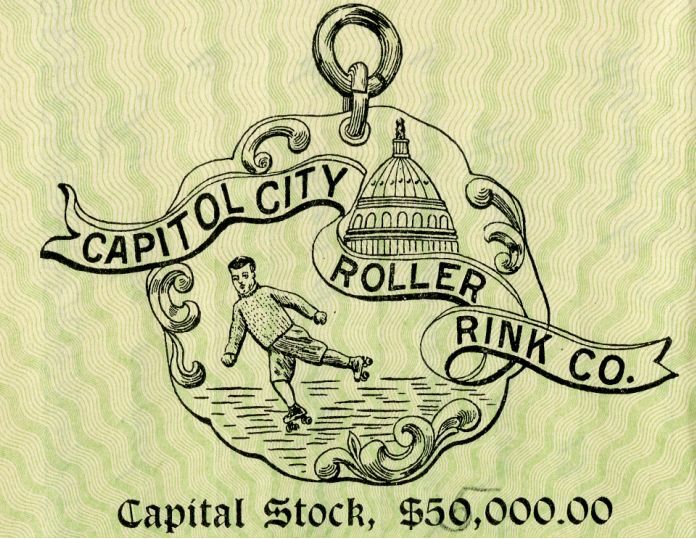 Beautiful certificate from the Capitol City Roller Rink Co.issued in 1906. 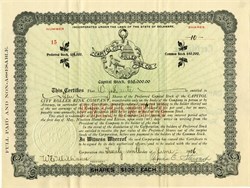 This historic document was printed by the American Banknote Company and has an ornate border around it with a vignette of a boy roller skating in front of the capitol. This item has the signatures of the Company’s President and Treasurer.